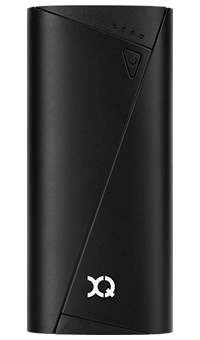 Recharge your phone's battery on the go with the XQISIT 5200 mAh Single USB Power Bank – the ideal companion for long trips when you need to stay connected. Light and small, the XQISIT 5200 mAh Single USB Power Bank is easy to carry around for those moments when you need a little extra power. Make dead batteries a thing of the past. The XQISIT Power Bank has 5200 mAh of extra juice to charge up your smartphone or USB-powered devices on long trips and excursions. The XQISIT Power Bank's extremely compact size makes it easy to slide in your bag or pocket, and its lightweight housing make it an ideal travelling companion. The LED light keeps you informed about the charging status. Thanks to its 2.1A USB output, the XQISIT 5200 mAh Single USB Power Bank is compatible with all the smart devices you charge with a USB cable.